Happy Friday! I've been enjoying this first week of December like you wouldn't believe. From baking Christmas cookies to decorating the house so pretty there are just a million reasons why I love the holidays! Today I'm sharing the love and helping you finish up your holiday shopping with one of my favorites, Kate Spade. While I love her classic yet quirky style all year long, those fun little pieces seem to sparkle even brighter at holiday time. 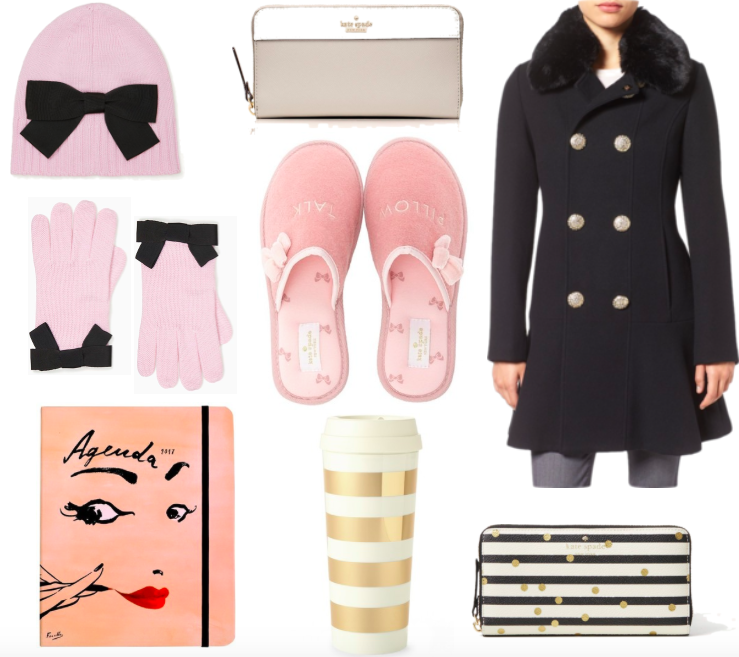 This tumbler, these gloves and hat and this pretty little makeup bag are among the pieces I'm eyeing right now. See and shop all my favorite picks below. Wishing you a wonderful weekend! !